No need to hide — there’s a new compilation CD coming out August 28 from Engine Room Recordings called Guilt By Association, which nobly is working to “bridge the gap between TRL and Pitchfork.” It’s a shrewd concept album which realizes that for each of us, maybe behind those thick black spectacles, chunky haircut, and Strokes t-shirt, is a soul screaming along the words to Mariah Carey on our car stereos. 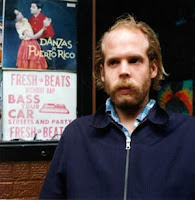 Will Oldham / Bonnie “Prince” Billy busts out the aforementioned Mariah Carey. Well, not exactly busts out. More like lets the slow jam ebb out. It’s playful and surprisingly enjoyable. Go to the MySpace page to hear Petra Haden tip her hat to my boys in Journey with a sunny acapella-harmony-deelite version of “Don’t Stop Believin’” with some Wilson Phillips tossed in at the end just to really drive that guilty pleasure idea home. I think that the last time I did karaoke I tried my hand at covering the same song; pretty sure it didn’t sound as bubblegum delectable. The crowd may have, in fact, stopped believing, despite my exhortations to the contrary. 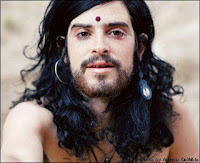 Tagged with bonnie prince billy, devendra banhart, journey, mariah carey, oasis, petra haden. I don’t get why Journey, Oasis, System of a Down, or most importantly Blue Oyster Cult are considered “guilty pleasures”: that tells me those artists can’t possibly know much about music. the big band anthem of the 80s, such as journey, are always a big hit at karaoke. as is REO speedwagon!!! ‘take it on the run’ is my all-time favorite karaoke song. 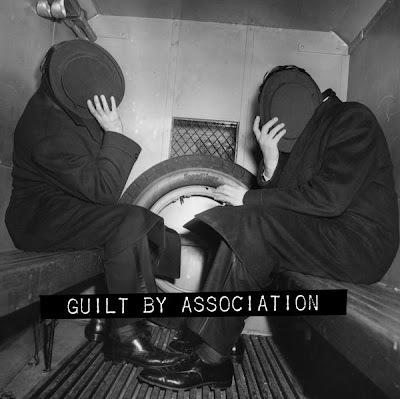 Dang, I thought this post was going to be about Vic Chesnut’s song Guilty by Association. Oh well. I’m sorry, your SECOND FAVORITE TV show is Lost?? What in the world could be your first? How do you top Lost? hey heather! i have a proposition – being a bit obsessive about covers, i was curious as to whether or not you had this whole album. if you did, i was wondering if you would be interested in a swap. i own quite a few (remember, obsessive)compilations/tribute albums/the like, and would be happy to send one your way in exchange for this one. let me know if you’re interested! The Petra Haden track is wonderful. She put out an excellent duo album with jazz guitarist Bill Frisell that featured some great versions of songs by Elliot Smith, The Foo Fighters, Stevie Wonder, and an inspiring version of Coldplay’s “Yellow”. Wow. I want that collection, like, yesterday.